Our official minimum fee for the guards per hour are: $20,000 per unlicensed guard, $25,000 per licensed guard. 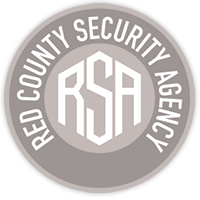 Feel free to visit http://redcountysecurity.ml for any future bookings. Or contact us under 1-800-10. There's also an option to fill out a long-term contract. Also the prices are without reservation and can be different referring to the individual booking. You can get a discount if you are a business owner/manager and decide to sponsor us.